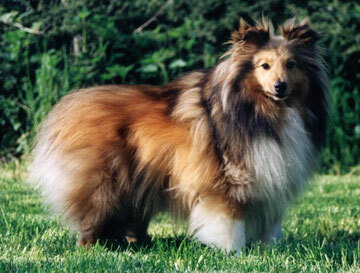 Chaco was our eldest, he was de first Sheltie that we had recieved. And he was such a good boy that we fell in love with this breed. Now when he got old, he knew for himself that he has more privileges and that nobody can be angry with him even when he does what he wants.